I love music, and so do most people! It keeps them moving when times are tough, and it gives you time to relax and sets the mood. It even lets you grieve when you need to escape and be alone. These are some of my favourite sites. As I have mentioned in other posts, it is very easy to crack iTunes and unlock all of your mp3 music. When DRM (Digital Rights Management) made its first appearance, I immediately felt it was something conceived by paranoid executives that simply did not understand technology, and how our generation wanted to use music, videos, and other media! People will pay 99 cents to support the artists they like, as long as they can take that song or album, and listen to it anywhere they want, not just on an iPod or iTunes. As soon as the music industry saw music coming online, they instantly tried to shut down the site, and began to invest millions of dollars into DRM protection for their content. The Music Industry Is Changing For The Better in 2008! Fast forward to 2008 and you see all four major record labels removing DRM (Digital Rights Management) from their media! Fantastic. Sony was the only one left, and as of earlier today, has also stated its plans to remove all DRM! Why the sudden change in heart? Well, all they really accomplished was giving complete control of their music distribution in the online world to Apple. Trust me, in the next 6 months, you will see Apple remove DRM from iTunes as it begins to lose its grip on Digital Music. Since they were unwilling to share iTunes with independent artists that didn’t care about DRM, and wanted people to make copies, they have forced the industry to make plans that don't include them. Since they were unwilling to allow other companies to make iPod like devices and license the software on a per unit basis, they have forced companies to build their own iPod killers, which are starting to get better. Will they ever be as great as the iPod? Probably not, but if Microsoft teaches us anything, its that you don't have to have the best product to win. A Little Bit On Apple, Steve Are You Reading? It's sad to see that Apple has still not learned from its lessons of the past to open up its technology and be more transparent. They invented fantastic computers with easy to use interfaces, but never let anyone build them but Apple. It took Apple over 25 years to move to the standard computer chips everyone else was using! They built a great operating system, but only allow it to run on Apple computers! Have you ever stopped to think about what people would choose if they were to buy a new computer from Dell, and could choose Windows, or OSX? I often wonder why apple refuses to learn from such obvious mistakes that they made in the past. I guess history does repeat itself if you don't learn from your mistakes. Steve Jobs is one of my idols from a visionary and creative perspective, but I often wonder why he has not patched his Achilles heal of being over confident. Has Jobs become over confident with the dominance of the iPod and iTunes? While I realize that they are locked into contracts with record companies, it's sad that they did all the up front work, and now will be left in the dust due to a closed application. Lets not forget Apple re-invented music for everyone by negotiating landmark usage rights at the time, which included allowing users to play their DRM protected music on up to 5 computers and on an unlimited number of iPods. Obtaining such rights from the music companies was unprecedented at the time! But they stopped there. They closed up iTunes to third party developers. They closed up the software the runs on the iPods. Will they be wiped off the map in the next 10 years? Will you tell stories of the great iPod to your kids, only to have them look at you and laugh? Amazon, Facebook, Sony, and even the independent artists (shameless plug for Flo, fantastic artist) will soon launch fantastic online portals where you can simply purchase a song, and download the mp3 to your machine. The entire music industry is changing as we know it, and it’s pretty cool to be a part of it! Soon your Facebook profile will feature your cell phone ring tone, your entire music library, and give your friends the ability to buy the latest tunes extremely easily! Load iTunes and make sure you are logged in and authorized on your iTunes account. QTFairUse will proceed to unlock your music! It's that easy! You can now upload your music to your phone, create custom ringtones, or make copies of your music to any device you choose! The Britney Spears comeback single "Gimme More" has leaked a few months early. You can download the first 30 seconds of Gimme More here. The video is set to be "leaked" next week, a video that was shot in a warehouse in downtown LA. You can also download the full track by searching for the song on any of the Bittorent Sites on the Internet. You can listen to the new Britney Spears single here, although it is not yet the actual video. Will Britney Spears make the comeback she is looking for? Who knows. So I'm fairly confident I have heard everything now. I love listening to the occasional rap tune, but this is a little much. 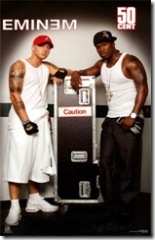 Days before the two rappers songs will hit the stores on September 11th, 2007, the two rap superstars are set to collide on national television. 50 Cent will be debating that his Album "Curtis" will outsell Kanye West's "Graduation" Album. "I accept the challenge," 50 Cent told millions of viewers on Friday (August 3 2007) on BET's 106 Park countdown show. "Kanye, he's not going to want to show up. Just don't be asking me if I am a conscious rapper. I know exactly what I am saying - so I am conscious." If you can even make sense of what he is saying there... Stay tuned for the official debate date! While you wait, feel free to place a wager on Bodog.com, the odds are currently 180 to 140 in favor of "Curtis" by 50 Cent!